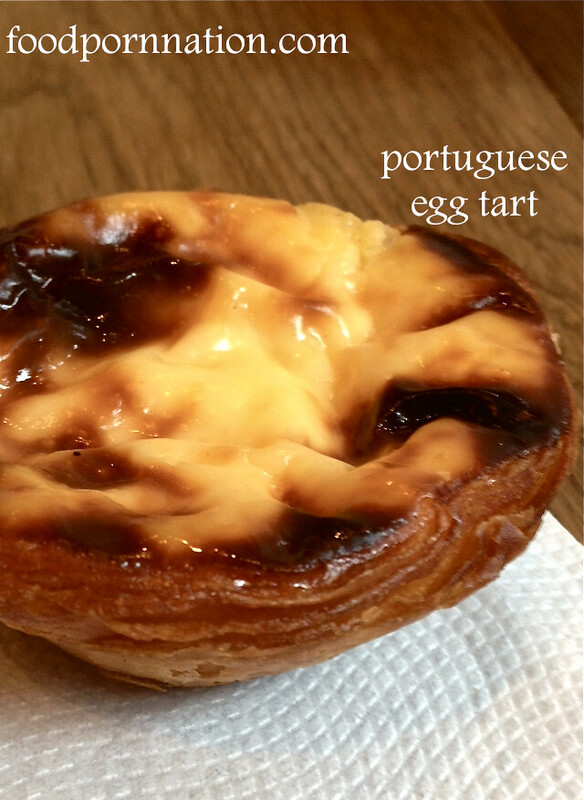 The Portuguese egg tart is served fresh and hot to order which is quite uncommon. Most places will serve this at room temperature but are still very delicious. The pastry is deliciously light and crispy, it is like you have opened a bag of chips. While the egg custard filling is deliciously warm and wobbly from arriving fresh out of the oven. The freshly caramelised singed surface of the tart also creates a lovely stickiness and adds an extra depth of flavour. Yes, fresh is best! Oh and the smell is incredible. I simply wanted to nuzzle my face into that pastry oven, risk being incinerated and suffocate myself into this delicious wonderfulness!!! Locals like to cover it with cinnamon & icing sugar but I couldn’t bare to tamper with a good thing. Its cheap as chips and definitely worth the visit, especially if you are in Belem checking out the attractions. Aren’t the egg tarts here amazing? I still remember the crunch of that flaky pastry! haha it is pretty unforgettable isn’t it? !